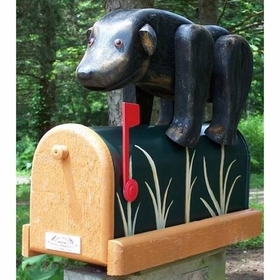 Young and old alike will take interest in these Novelty Mailboxes. These are not your ordinary, plain mail houses as they were designed to look like animals, automobiles, popular characters and so on. Learn more about these handcrafted, eye catching mailboxes from our product experts. 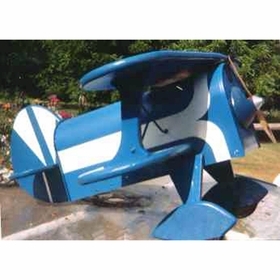 Question: How about a submarine mailbox or a Penn State mailbox, do you have them? Answer: Unfortunately no, neither of these are currently offered by the manufacturer of our novelty mailboxes. Question: Is that free shipping to New Zealand? Answer: You will need to contact the manufacturer directly for any custom mailbox options. Question: How much would it cost to post to Australia? Answer: Every mailbox has a slightly different shipping cost. To find the cost, add the item to the Checkout page, select Australia and then check shipping cost on Bongo International. After selecting your country, there will be a big Bongo Checkout button. 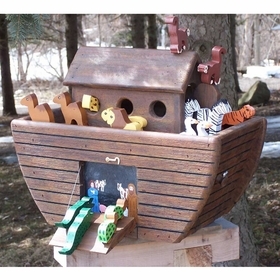 Question: Do you also offer Pinehill Woodcrafts mailboxes? Answer: Yes, you may see Pinehill Woodcrafts Mailboxes. Thank you. Question: Do you have a snook mailbox? Answer: No, that is not a common design but can be custom made. If you wish to forward us an image, we can check the pricing on this for you. Question: Do you have a Boxer dog mailbox? Answer: Yes, there is a Boxer available. Image is being forwarded to you via separate email. Question: Can you make a mailbox like the hammer of Thor? Answer: No, we do not carry a Thor-shaped mailbox and are not aware of a manufacture that does. Question: Hi, do you have any surfing or skateboarding mailboxes?? Answer: No, not currently in our inventory; however, this manufacturer does custom work so an inquiry can be made. Question: I'm looking for a keystone light beer novelty mailbox. Can you help please? Answer: We currently do not sell anything of this nature. Answer: Please view the Bluegrass Woods Mailboxes. Question: I am looking for a "watch" style mailbox, possibly something for hockey too. Question: Do you have mailboxes relating to corporations? Answer: Something of that nature would be considered custom. If you have a design in mind, send us an image (customercare@weblifestores.com) and we will inquire with one of our manufacturers. 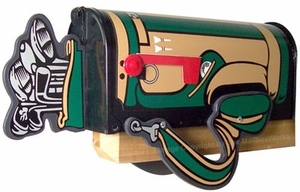 Question: Do you have a Fish two-sided mailbox where you put the mail in its mouth and recipient gets it out of its rear? 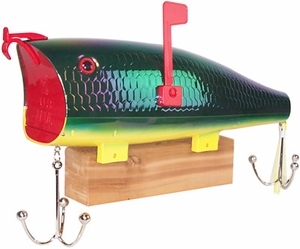 Answer: I apologize but at the moment, we do not have a Front and Rear Access novelty fish mailbox. 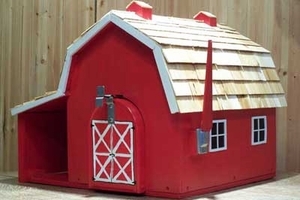 Question: Can you do custom mailboxes of cats, dogs or chickens? Answer: We sell a firetruck mailbox. Here is the SKU#: WL-1025BM. Just type the number into the keyword search. It is called Red Fire Engine Novelty Mailbox. 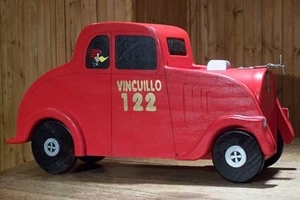 Question: How about a Santa Claus mailbox for letters to Santa, do you have any? Answer: Please see this Santa Mailbox. Question: Can I get an 18-wheeler? Answer: Sorry, there is no 18-wheeler available.